Record professional sound with Hi-Res Audio at up to 192kHz/24 bit. Whether it’s your live music set, new podcast episode or breaking news report, the PCM-D10 unlocks a new level of detail and texture. 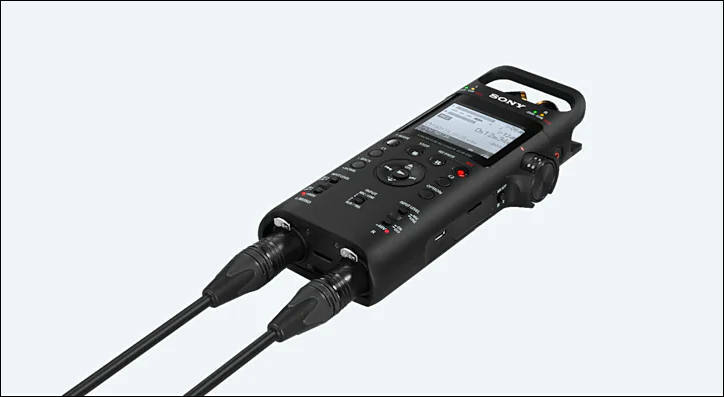 Plug in two inputs for high-quality two-channel recording. Compatible with XLR and TRS connectors, the twin jack gives you more choice over your sources, from mics and mixers to keyboards. These jacks are independently mic or line level switchable and have independent 48V phantom power. You’ll also find a dedicated stereo 3.5mm mini jack input. Combining two top-of-the-line AK4558 A/D D/A converters with our own high-quality technology, the PCM-D10 raises the bar for your recordings. Working in tandem, they maximise S/N and allow you to capture flawless sound at up to 192kHz. With the variable analog gain amplifier, you can dial in your audio levels with precision. The recorder features independent dials for your L and R channels, so you’re free to adjust both, or just one, of your inputs. And because these are high-quality analog controls, you can adjust the gain smoothly, without the step noise that can be encountered with digital volume. Whether you’re monitoring live or reliving the performance, you’ll enjoy clear, detailed audio and high output power from the PCM-D10’s high-quality MAX9723 analog headphone amp. This also features an integrated analog volume controller for smooth adjustment. With high S/N mode, you can stop worrying about lost low levels. The PCM-D10’s two ADCs record at different volumes – one regular and one lower – and if any low levels are lost, the device automatically replaces these sections with audio captured at -12dB. The result? Clear recordings for even the most dynamic performances. Choose from different power supply options to match your recording environment. 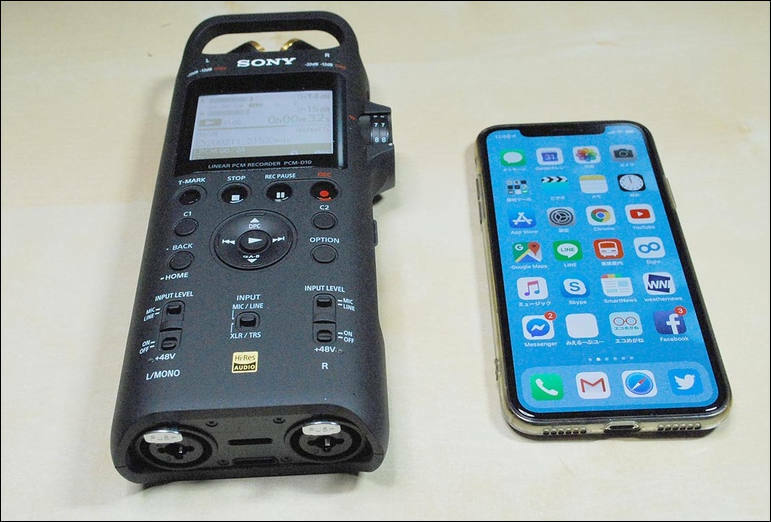 USB Type-C™ can be more suited to studio time, while dry cell batteries (4xAA) are ideal for recording in the field. With 16GB internal memory, you’re always ready to lay down Hi-Res recordings. And with the capacity to add up to 256GB of SD card storage, you can record professional audio, even through the longest sessions. Plus, if you turn on Cross-Memory REC mode, the recorder will automatically switch to SD card when you exceed the internal memory, so you can be sure you never miss a take. Use the Sony REC Remote app to start recordings from your smartphone. This helps eliminate the interference sometimes caused by jogging the device when you hit the REC button. You can also use the app to adjust most recording settings, mark tracks and monitor your levels. Available for Android and iOS. It's a Sony, so $500.